Igbinedion University, Okada (IUO) Sixteenth [16th] Convocation Ceremony Schedule for the Conferment of First Degree, Higher Degrees and Honorary Degree Awards for 2017/2018 Academic Session. The Vice Chancellor of Igbinedion University, Okada (IUO) on behalf of the Council and senate has the pleasure to invite you to the 16th Convocation Ceremony. 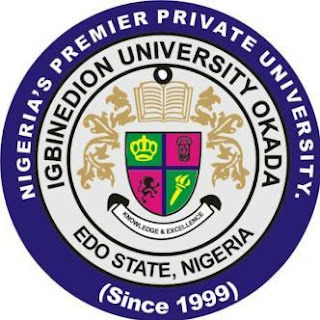 The 16th Convocation Ceremonies for the 2017/2018 Academic session of the Igbinedion University, Okada (IUO) has been scheduled to hold from Thursday, 22nd November and Saturday, 24th November, 2018. Further Details will be communicated shortly!! !